Todd recently returned from a trip to New Orleans, and Erica and I were just there in November for a southern style Thanksgiving. 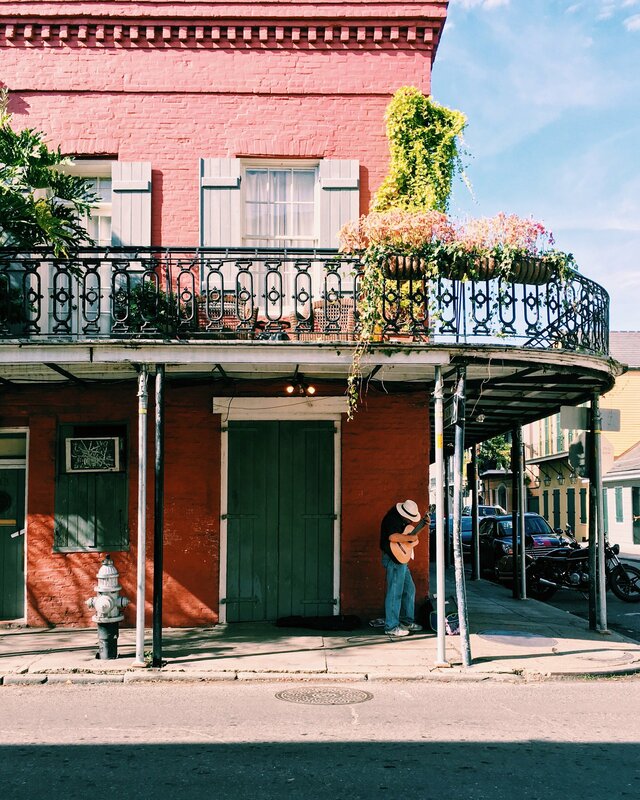 For all of us, it was our first time in the Big Easy and, of course, we couldn’t stop talking about all the decadent food we ate. 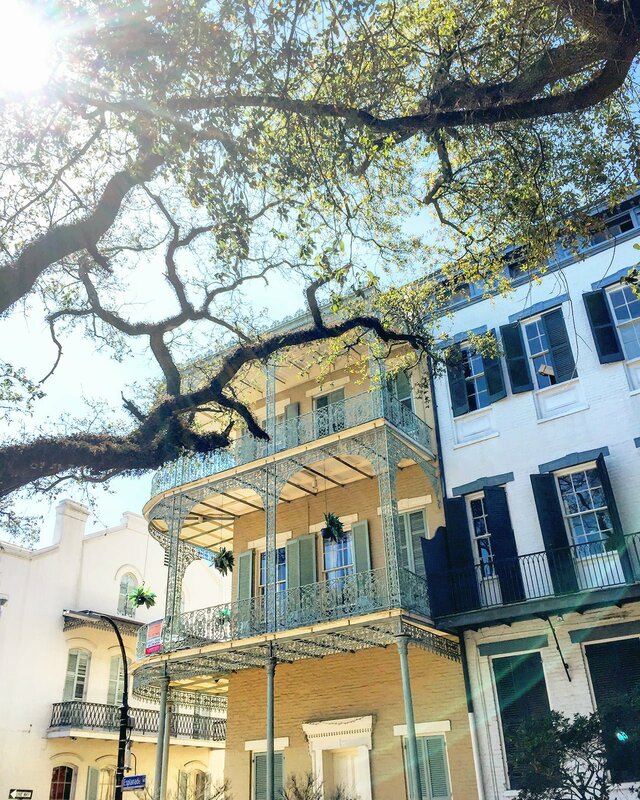 So we thought we’d put our combined experiences together and share our highlights of our New Orlean’s trips. 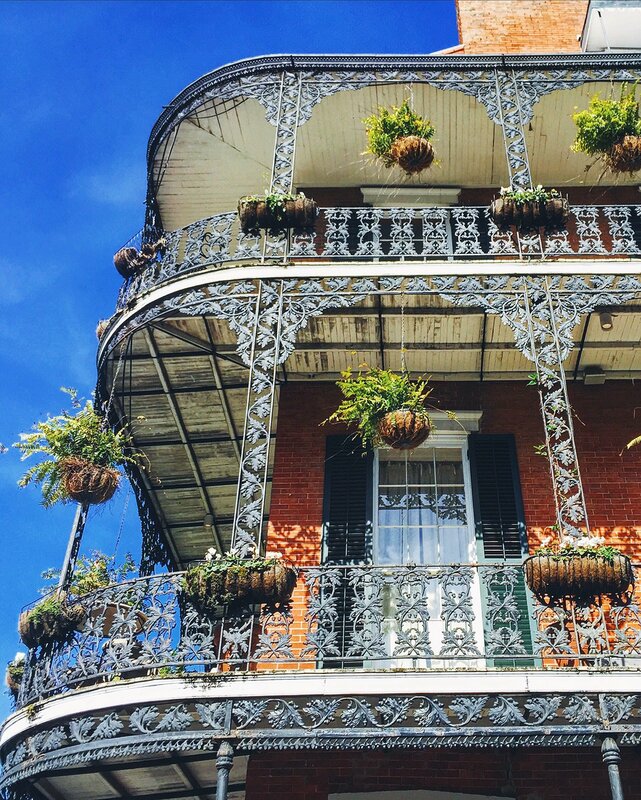 We all fell hard for this city and it’s one of the few places in the U.S. I am determined to return to . . . and sooner than later. Bacchanal: If you’re looking to spend a few chill hours just drinking wine, eating cheese and listening to music (um, who isn’t?) 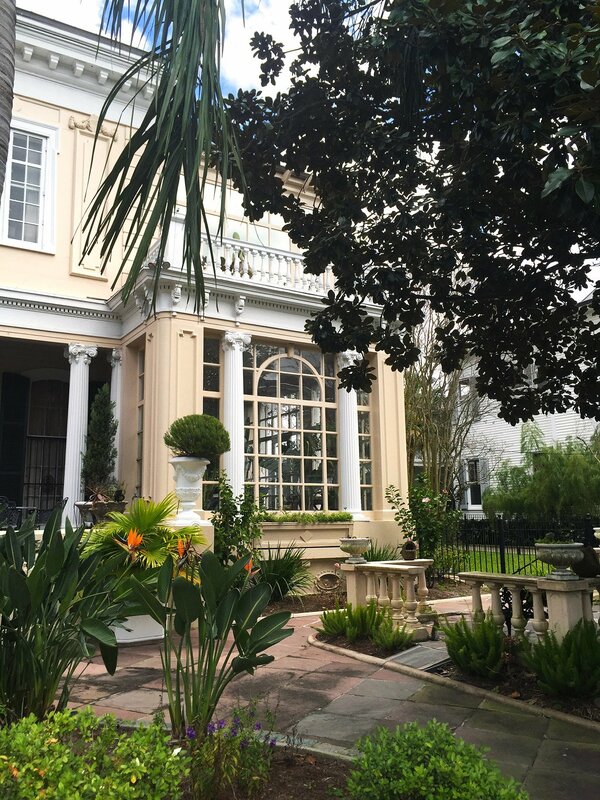 but in a totally unpretentious back-porch setting, look no further than Bacchanal. This wine shop located in the Bywater is also a great excuse to explore New Orleans outside the French Quarter. Pick up a couple bottles in the shop and grab a few wine glasses on your way out to the back patio, furnished simply with a few plastic and metal tables and chairs and where local artists are playing live music. 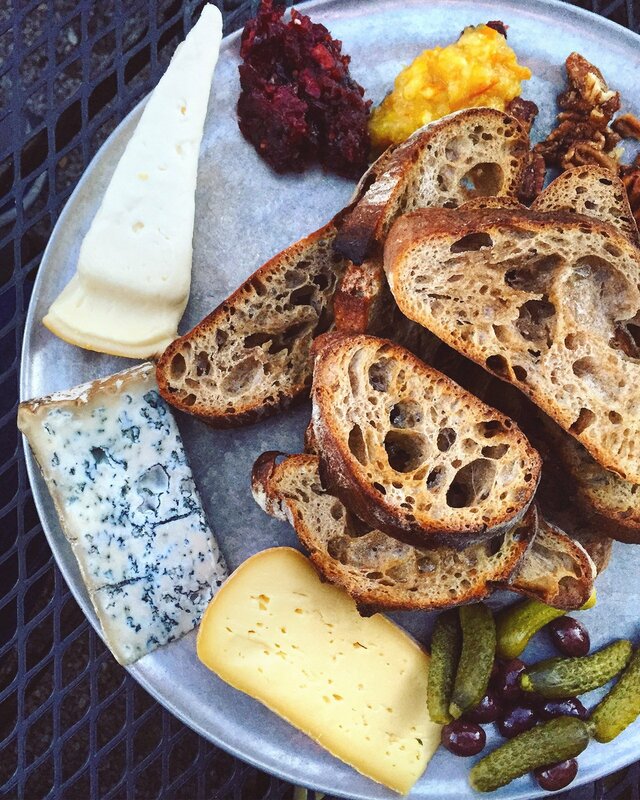 You can also grab a few blocks of cheese that they’ll plate up for you. I loved Bacchanal’s low-key vibe and was so wishing that there was a place like this in LA! 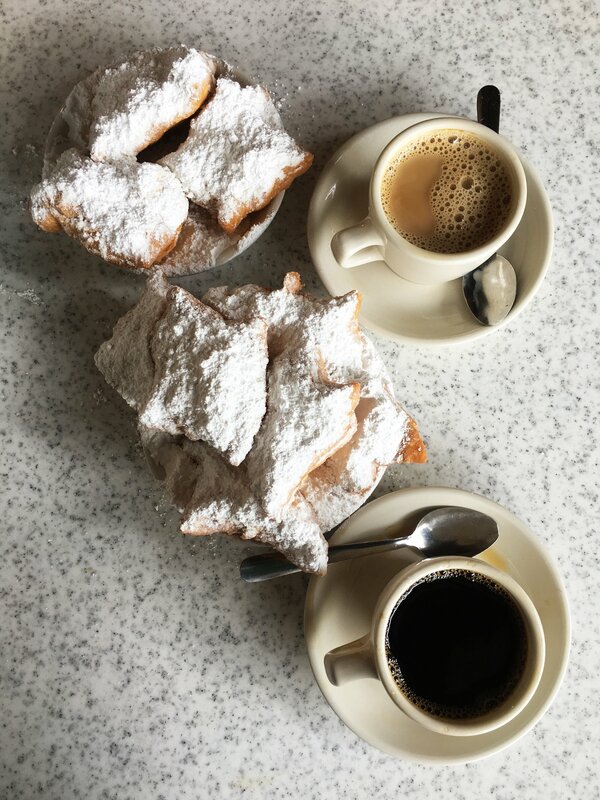 Cafe du Monde: Anyone who is going to New Orleans knows to go to Cafe du Monde and so as touristy as this stop is, it nonetheless is worth the experience. Crowd in with the masses and order some fluffy, powdered-sugar covered beignets, a classic New Orleans fritter made of a yeasted dough. Pro-tip, don’t wait in the long line wrapped around the store. Just find a seat and someone will take your order! Central Grocery: If we’re talking tourist food stops, we have to talk about muffalettas at Central Grocery, home of the original muffaletta (which it proudly proclaims with the sign “Home of the Original Muffaletta”). 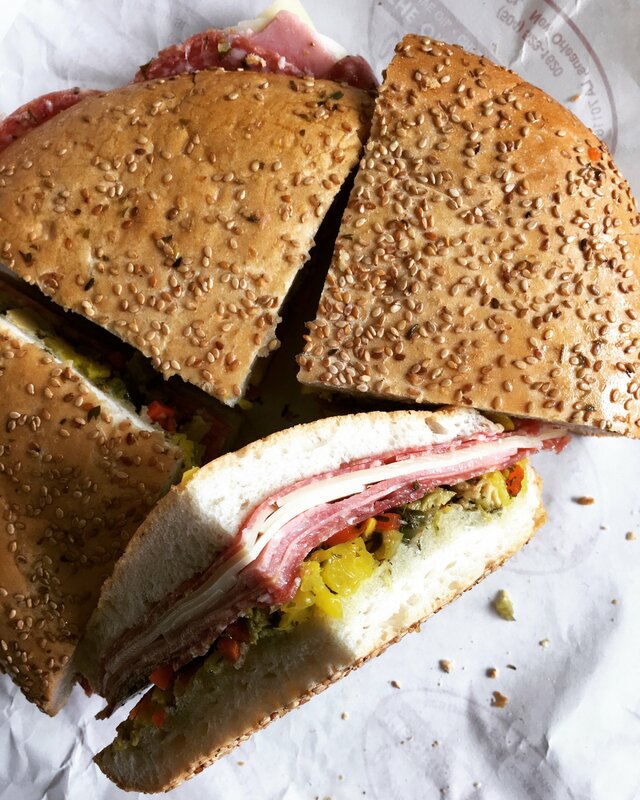 A muffaletta is an Italian style sandwich (but uniquely from New Orleans) made with round Sicilian sesame bread smothered in an olive salad, which has all kinds of chopped pickled vegetables and olives, and loaded with cold cuts like mortadella, salami and mozzarella and provolone. They have piles of these sandwiches ready to go that can be ordered in whole or half sizes. I’m a sucker for muffalettas so this was one of my favorite food moments in New Orleans. So much so that I bought another one for the plane ride home! Luke: Being from California, I’ve become a bit of an oyster snob enjoying the variety of Pacific cold water oysters we get from Washington and Canada. So when I saw these monster-sized Gulf oysters, I wasn’t expecting them to taste very good, but I was wrong! They’re just as delicate in flavor as the Pacific kind. 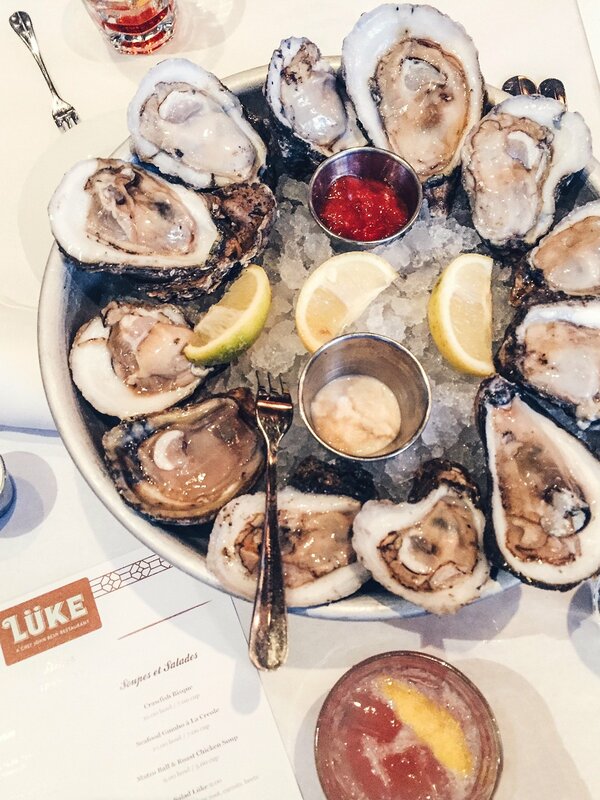 And if you’re looking for a good oyster happy hour so you can eat dozens at a time, you should definitely go to Luke, John Besh’s brasserie-style restaurant in the business district. 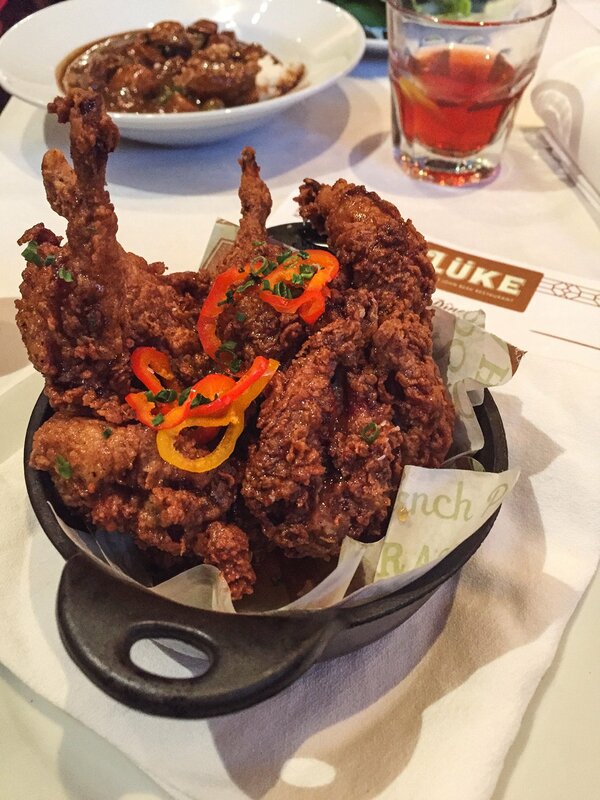 While you’re there enjoy other dishes, like this fried quail with honey-chili glaze. La Petite Grocery: This restaurant, which used to be the site of an old grocery store, offers classic New Orleans fare with a contemporary twist, like turtle bolognese or paneed rabbit. Or if you’re not feeling adventurous, make sure to try the blue crab beignets. These were probably the best things I tasted on my trip! 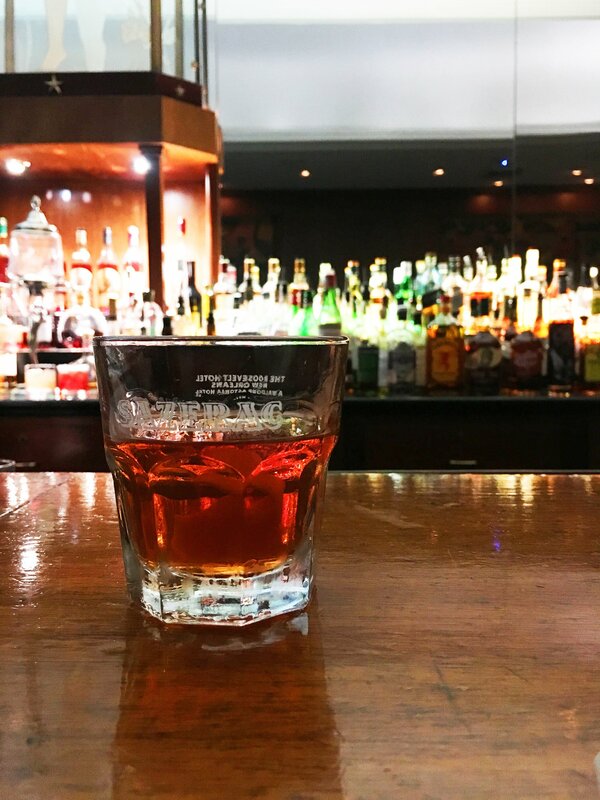 Sazerac Bar: No trip to New Orleans would be complete without a visit to the Sazerac Bar to have the iconic New Orleans cocktail, the Sazerac. Of course, their other cocktails, crafted with care, are incredible like the Ramos Gin Fizz, a frothy and thick cocktail made from gin, lime juice, egg whites, heavy cream, orange flower water and club soda. 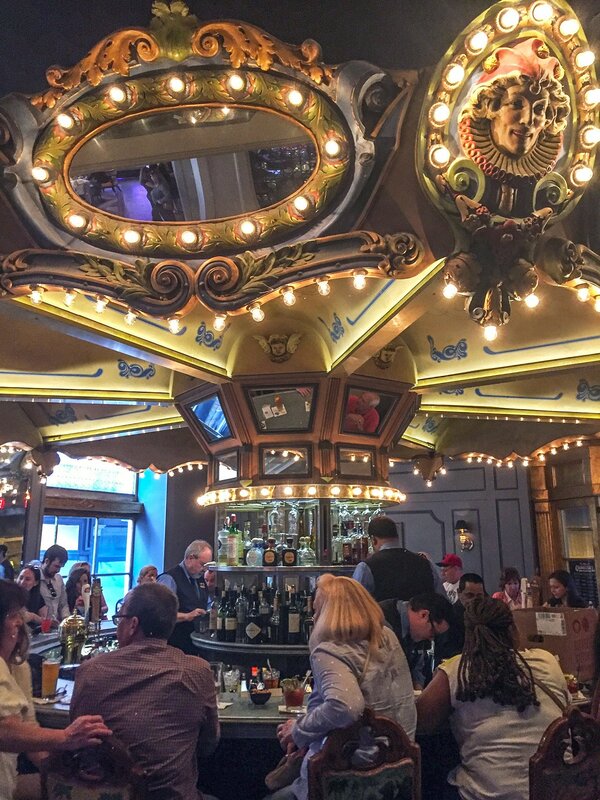 Carousel Bar: This iconic bar is located inside the Hotel Monteleone. It was a bit crowded when we arrived (as I hear it often is), so we ordered a cocktail and happily waited for a seat to open up. I mean, how often do you get to enjoy happy hour at a rotating bar? That’s right, the bar spins! 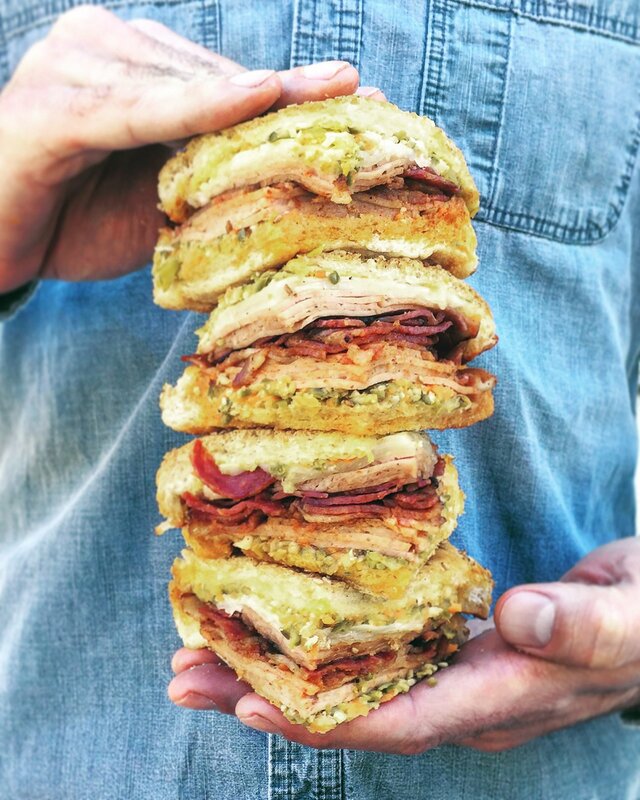 Cochon Butcher: I’m scared to go to another sandwich spot ever again. I know for a fact that it won’t live up to what we had at Cochon Butcher. 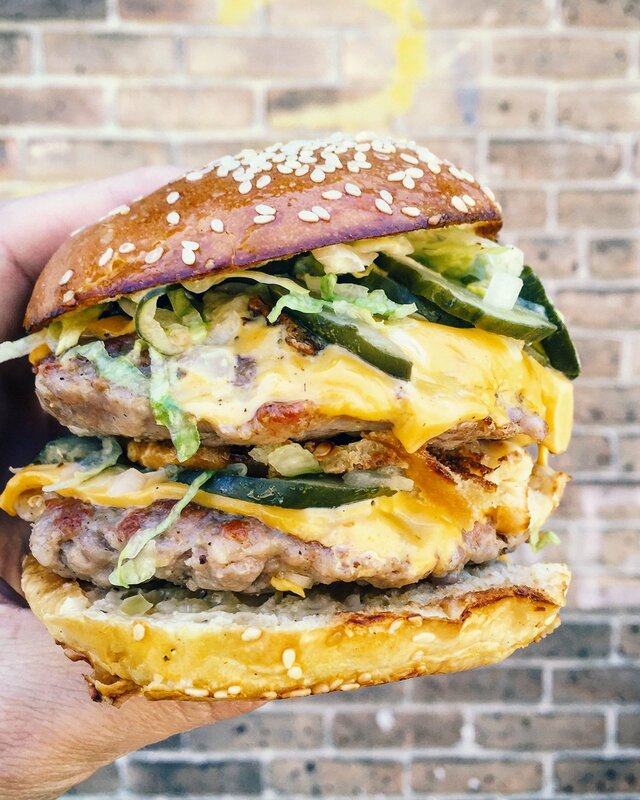 Le Pig Mac – two of the JUICIEST pork patties you’ve ever have in your life! The muffaletta . . . the pork belly, ahh I can’t think about it anymore!! Just go. 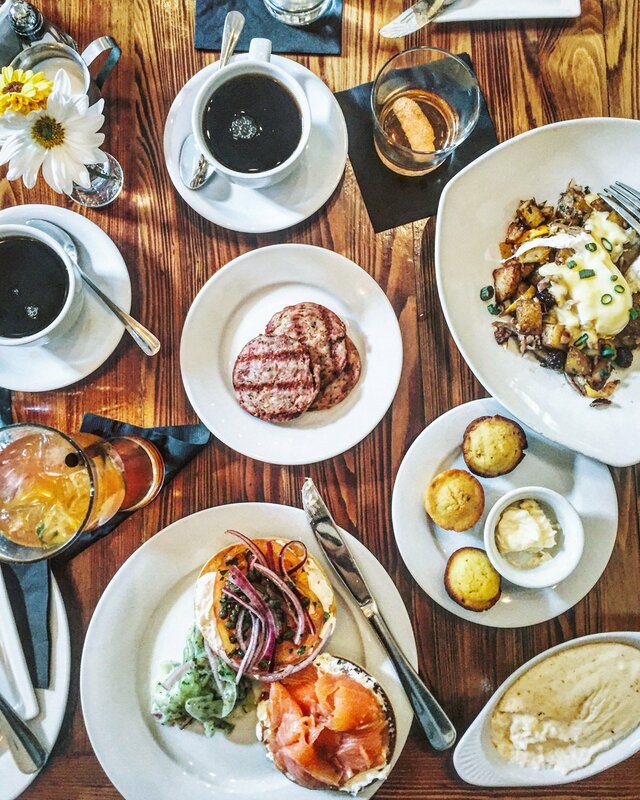 Atchafalaya: This is the meal, THIS is the meal that I can’t stop thinking about. 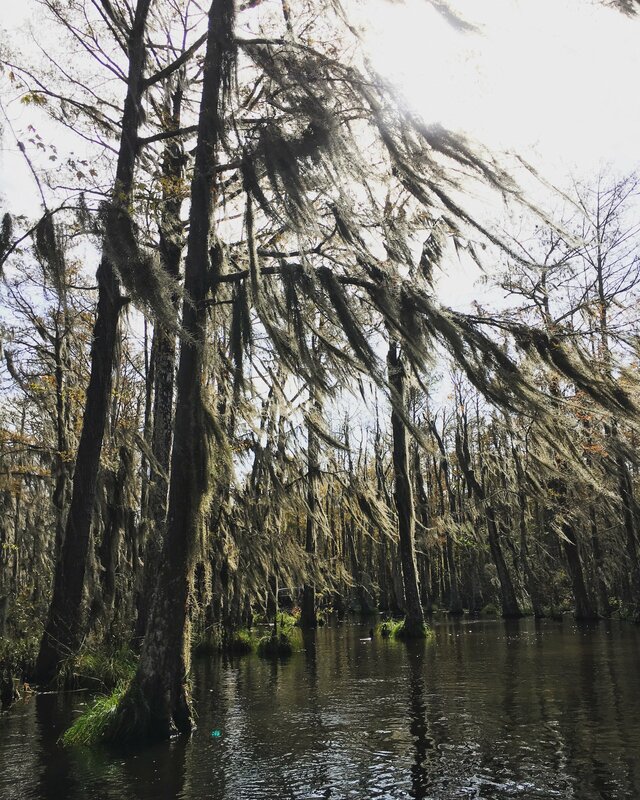 Atchafalaya pretty much sums up my quick visit to New Orleans. The service was incredibly welcoming, to the point where we felt like family. 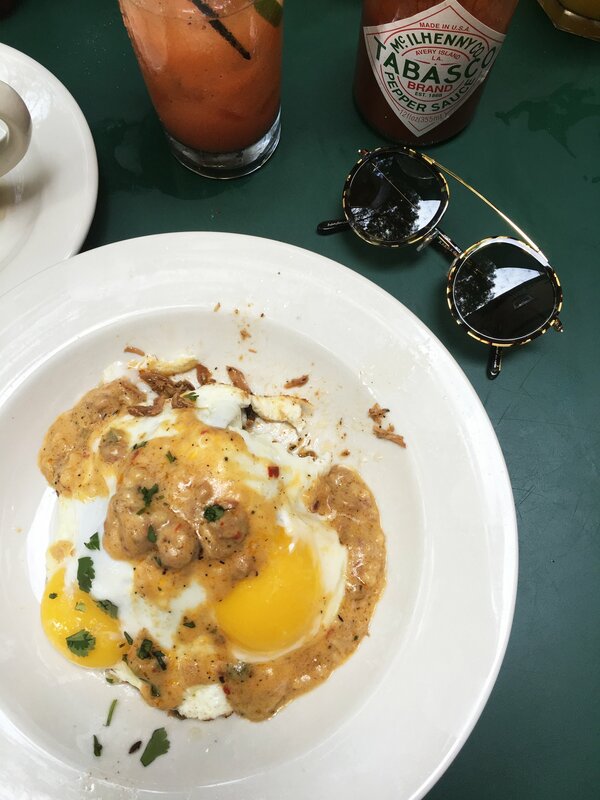 There’s live music during weekend brunch, of course, because New Orleans does it right. The food was out of this world! We had brunch: the poached eggs, duck confit, blackberries, mangos, hollandaise, and bacon vinaigrette was game changing. It’s a lovely neighborhood spot, tucked away in the Irish Channel, and pretty much if I lived anywhere in NOLA I’d try my best to be there every week. Spitfire Coffee: One of the first things I do when I travel is locate a go-to coffee spot. 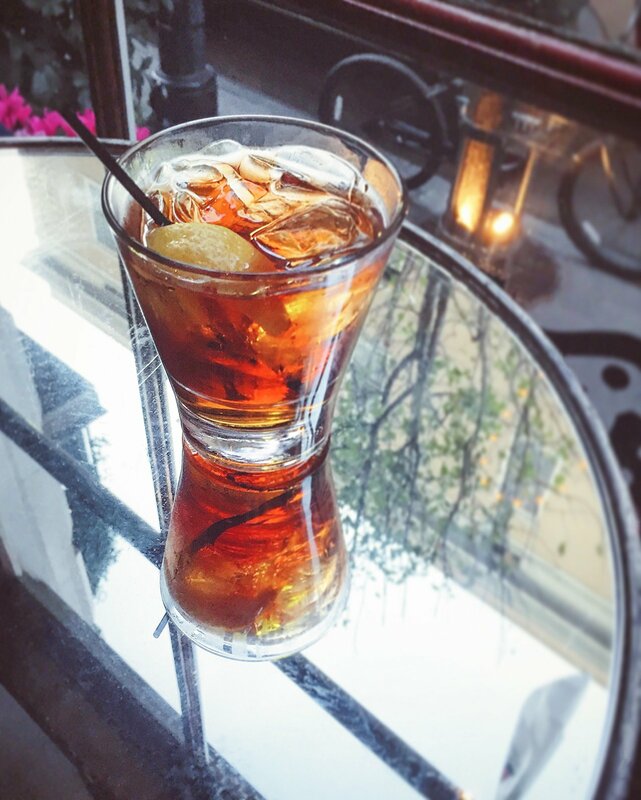 Spitfire was just that – my morning coffee oasis. 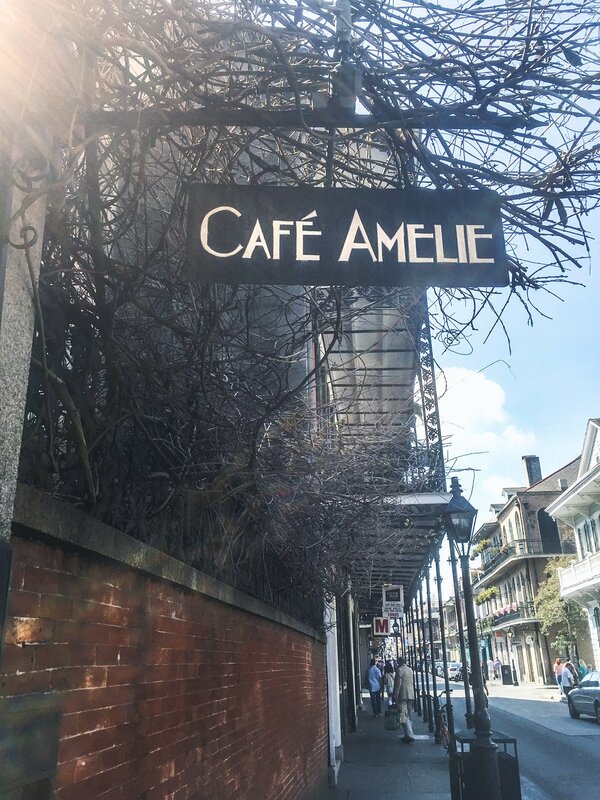 This place is tiny, which makes it all the more magical when you step inside and away from the bustling French Quarter. 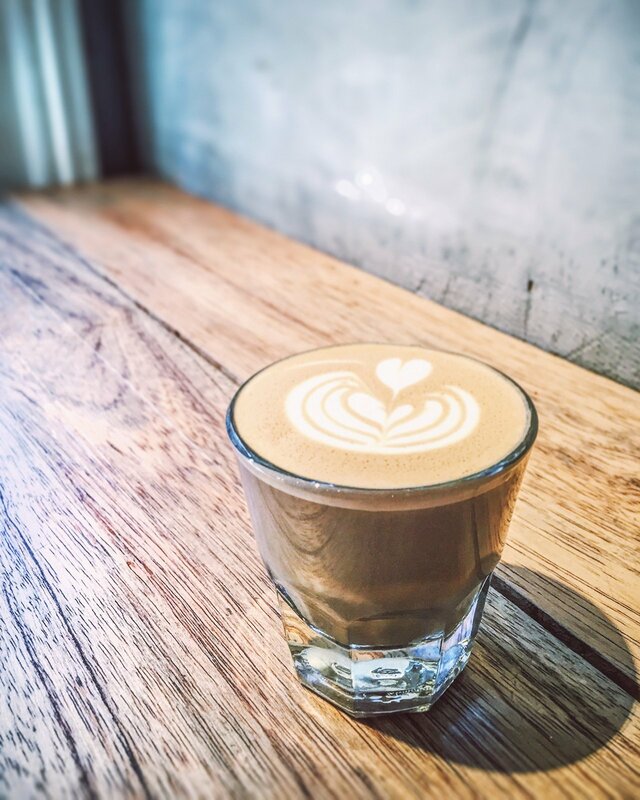 Whether you prefer a good cup of drip, cold brew, a cappuccino, or my favorite, the mole cortado, Spitfire will not disappoint. 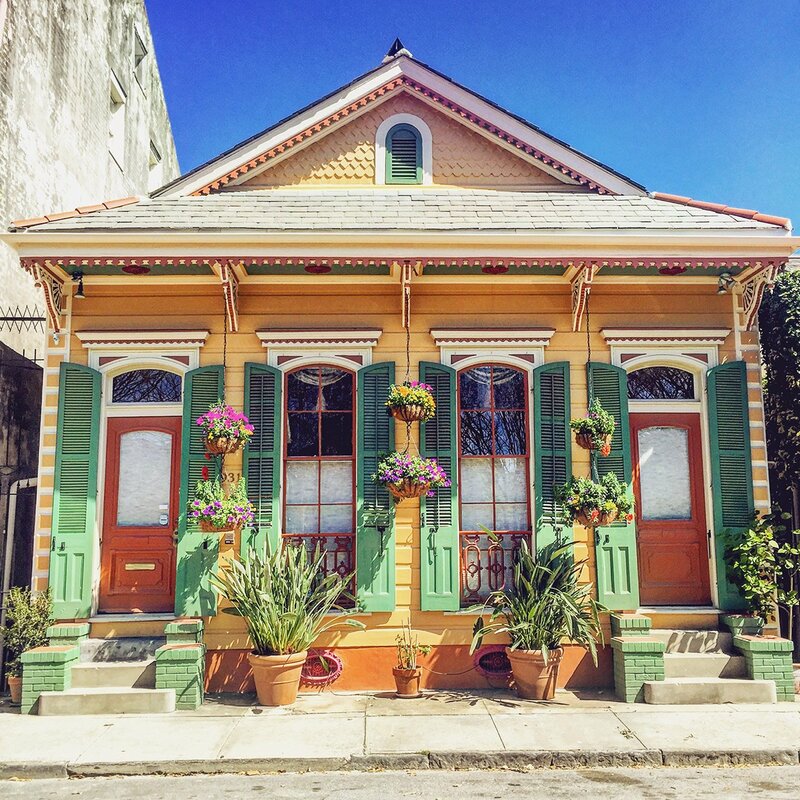 For a much more comprehensive travel guide for all things New Orleans, check out Joy’s page. She’s a local! P.S. Love that last picture of the the…swamp? Marsh? I know there is a proper name for this biome that I can’t think of. Literally everything looks amazing! Well, I guess we’ll have to visit soon!